The 6th iteration of the Multilateral Maritime Interdiction & Prosecution Summit (MMIPS) was held 7-8 August 2018 in Nassau, Bahamas. Facilitated by the US Coast Guard (USCG) and funded by the US Department of State (DOS), the MMIPS is a continuing dialogue between maritime and justice sectors of Central and Eastern Caribbean transit zone countries. Since its inception in 2014, the overall focus and objective is to promote regional awareness of air/surface threats, multinational cooperation, judicial/prosecutorial challenges, training, and logistics necessary to improve mission readiness for interdiction assets. 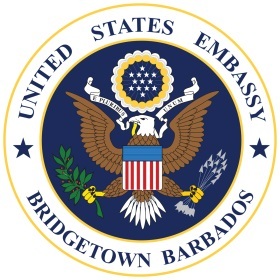 The US Department’s Bureau of International Narcotics and Law Enforcement Affairs (INL) is sponsoring the attendance of participants from Antigua and Barbuda, Barbados, Grenada, St Kitts and Nevis, St Lucia, St Vincent and the Grenadines, and the Regional Security System (RSS). The 2-day summit includes remarks from international partners, CARICOM, IMPACS, RSS, senior US State Department, USCG, and other US Government officials, and two work groups addressing combined operations and post-interdiction legal processes and procedures, achieving regional maritime interoperability to effectively combat illicit trafficking in the transit zone, and complements the Caribbean Basin Security Initiative (CBSI). The 6th MMIPS included remarks by Richard Glenn, Acting Deputy Assistant Secretary of State, Bureau of International Narcotics and Law Enforcement Affairs, senior officials from the Bahamian Government, and Rear Admiral Peter Brown, USCG Seventh District Commander. The 5th MMIPS was held 18-19 July 2017 in San Juan, Puerto Rico.